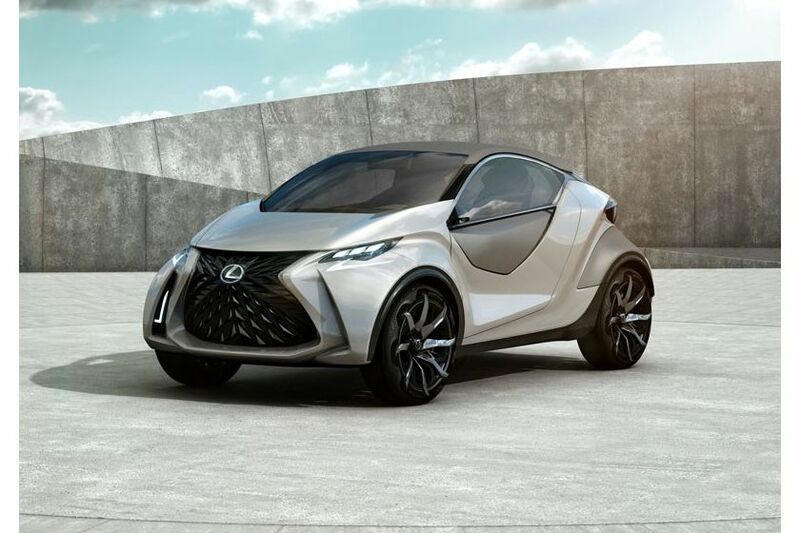 The LF-SA Concept combines an audacious interpretation of the Lexus brand’s L-finesse design philosophy without losing sight of the driving pleasure that will always define Lexus’ progressive luxury. 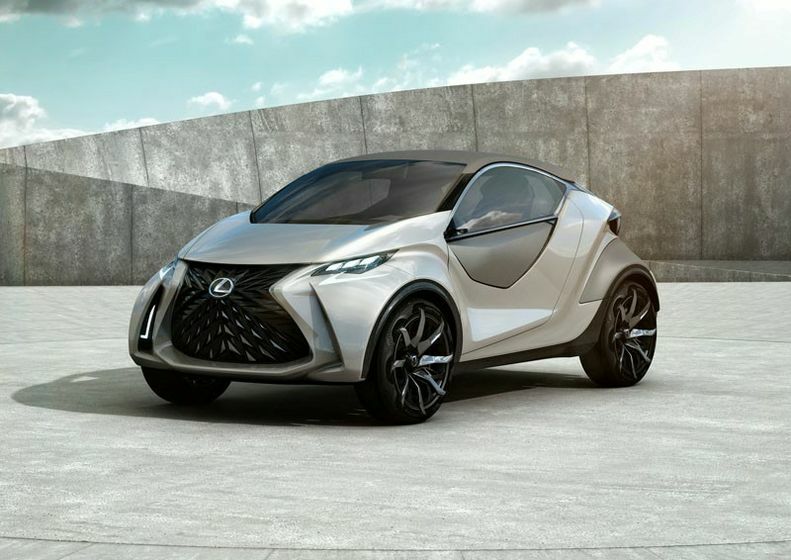 Lexus designers at the company’s European-based ED2 design studios sculpted the LF-SA Concept with rugged and confident styling while adopting a compact form that highlights the maneuverability and agility that’s essential in a true city car. 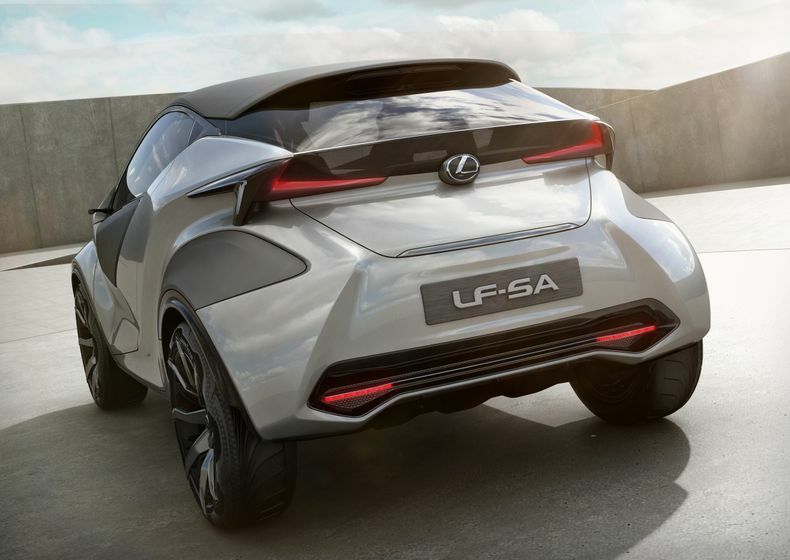 The LF-SA expresses a “Time in Design” styling approach in which perceptions of the vehicle change when viewed from different angles – like when it passes the observer on the road. 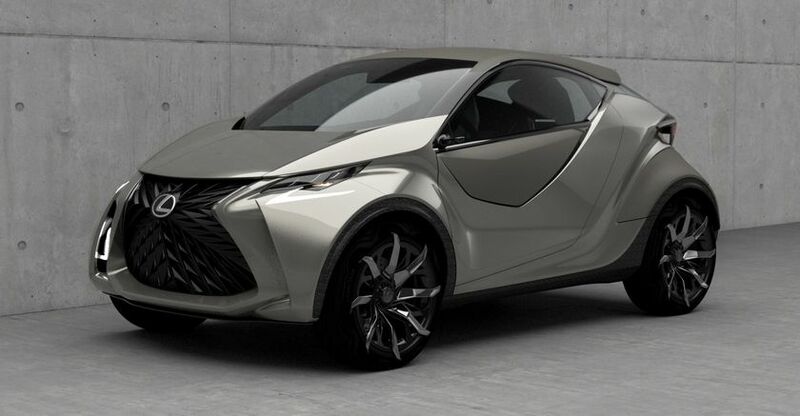 Despite its ultra-compact footprint, the Lexus LF-SA Concept boasts a surprisingly spacious interior. 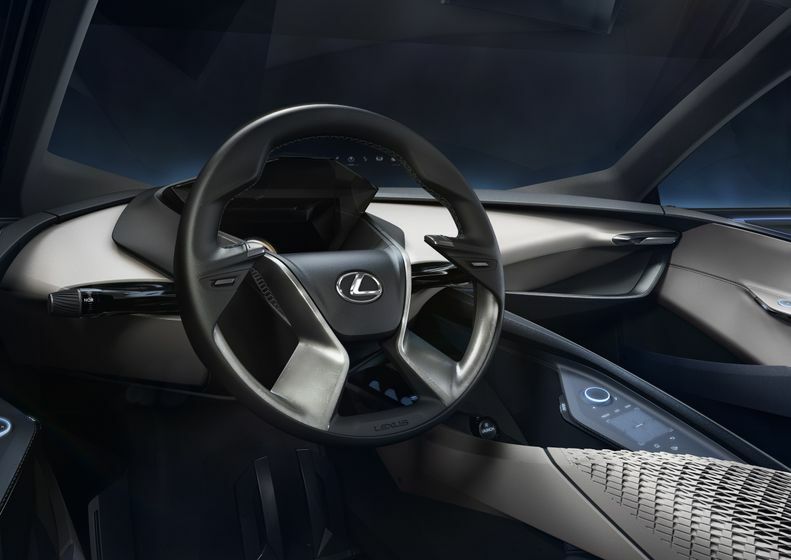 Designers achieved this spacious feeling through the “manipulation of lightness” – evident, for instance, in the sweeping dashboard design that reinforces the width of the cabin. 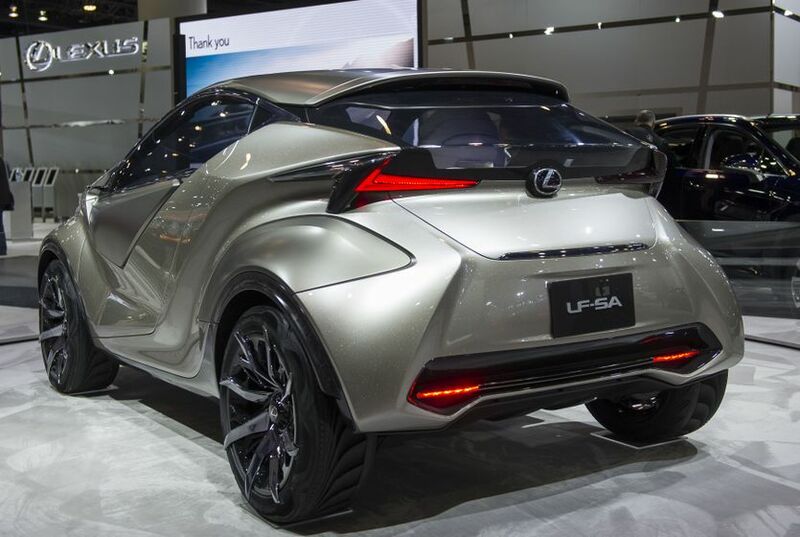 Contrary to the typical compact city vehicle, the LF-SA Concept’s 2+2 cabin layout places clear priority on the driver. For example, the driver’s seat is fixed, with adjustable steering column and pedals that bring the vehicle to the driver. Meanwhile, the front passenger seat slides to allow easy access to the rear seating. 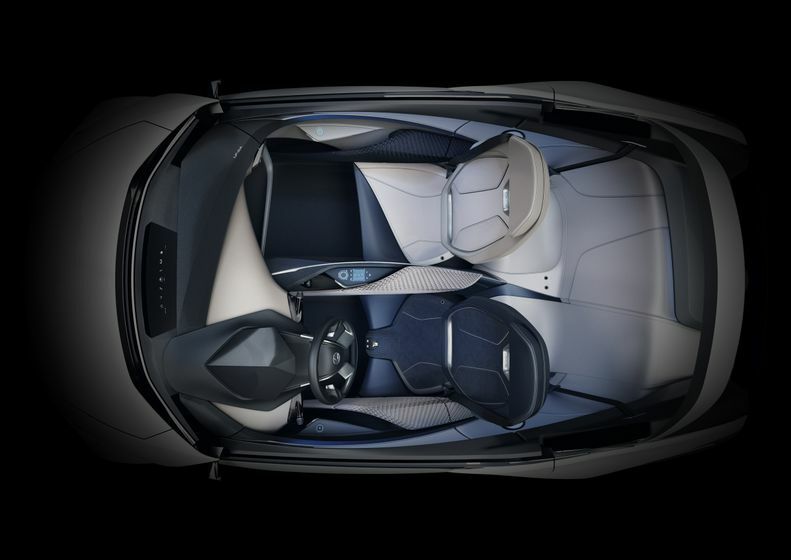 Technology advances include an infotainment system featuring a hologram-style digital display incorporated into the instrument binnacle, plus a wide-angle Head Up Display. 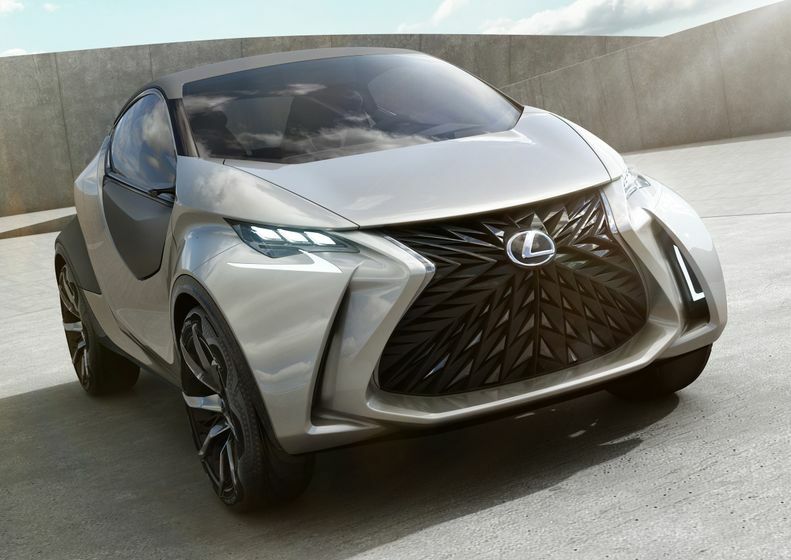 The LF-SA Concept reflects the spirit of weekend adventuring in everyday city transportation. It delivers the real life luxury of driving, the ultimate on-board connectivity and infotainment, and the no-compromise commitment to safety present on all Lexus vehicles. This is the year that the GS gets the “F” series treatment. The all-new 2016 Lexus GS F combines world-class, track-proven speed and agility with the opulence and refinements of a four-door luxury sedan. As with the RC F coupe (also on display in Vancouver), this latest addition to the Lexus F series of high performance luxury sports cars was tested and proven on some of the most challenging racetracks in the world. 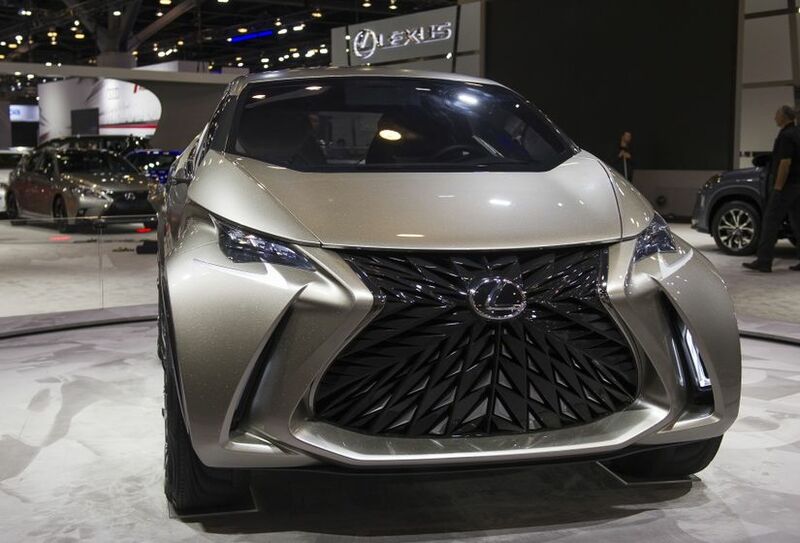 Lexus is offering show-goers the opportunity to experience the advanced luxury of Lexus hybrid motoring, with a ride-and-drive event at the show. 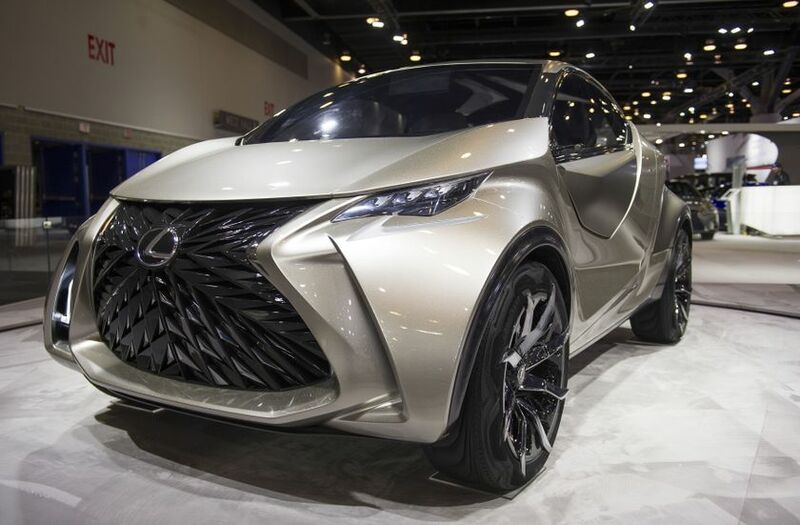 Book a test-drive at the Lexus booth and slip behind the wheel of a CT 200h, ES 300h, NX 300h or RX 450h. The 2016 lineup features several updated models, including the ES 350, ES 300h, GS 350 AWD and GS 450h. 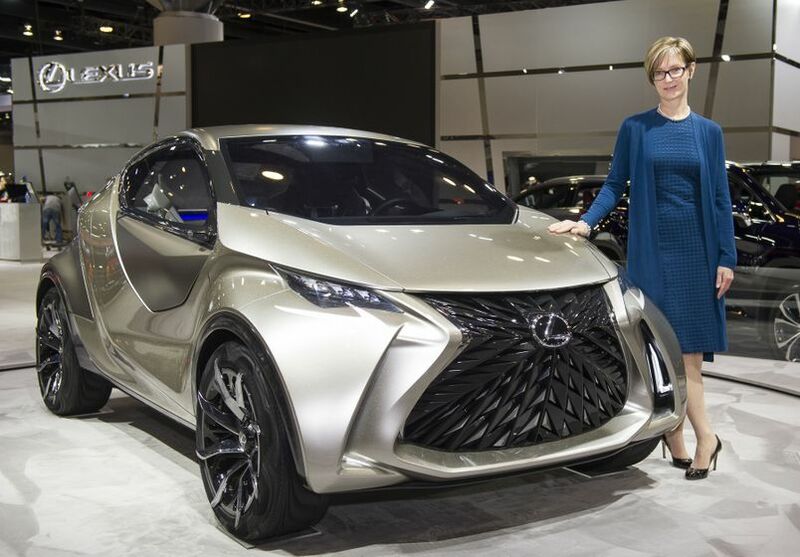 All of these – along with the entire Lexus portfolio – will be on display in Vancouver, as will several advanced Lexus technologies. 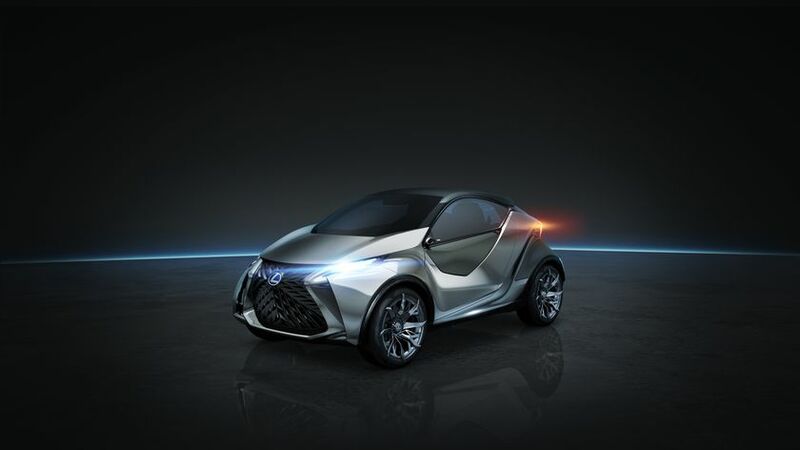 These include a virtual reality simulator that lets visitors race a Lexus over a realistic, 3D interpretation of the Fuji Speedway – the “home track” for the Lexus F series of high performance luxury automobiles. The winners – Stephanie Brennan, Monica Mahar and Shyronn Smardon – are in their final year of studies at British Columbia’s own Capilano University’s Illustration and Design Program. 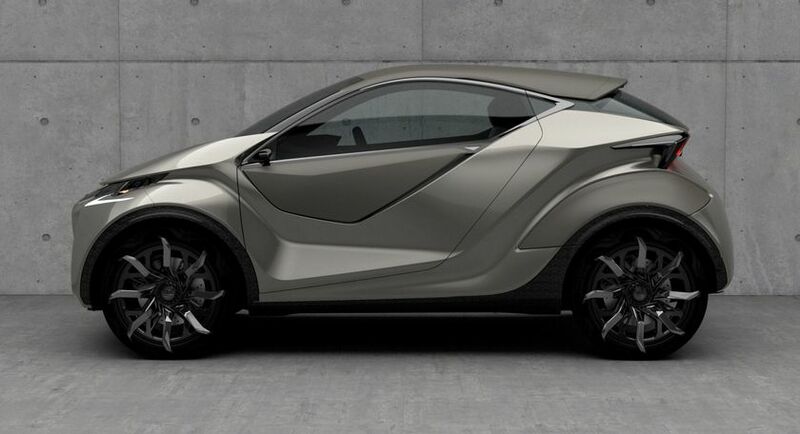 Their submission – PULSE: Layered Luxury – received the $5,000 first prize and is being used to showcase the RX 350 at auto shows across Canada this year.